"This is Jahngoon (Korean for General) at 7 years old. He's very sweet and good with new people, but he will still bark at strangers approaching our yard without us. He's a great dog." Doberdor is not a purebred dog. 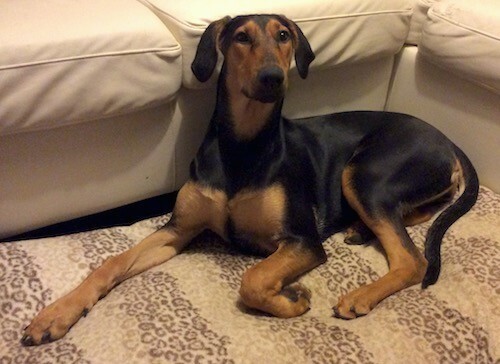 It is a cross between the Labrador Retriever and the Doberman Pinscher. The best way to determine the temperament of a mixed breed is to look up all breeds in the cross and know you can get any combination of any of the characteristics found in either breed. Not all of these designer hybrid dogs being bred are 50% purebred to 50% purebred. It is very common for breeders to breed multi-generation crosses. 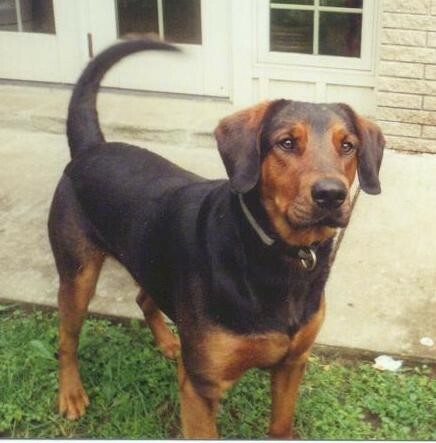 Jahngoon the Doberman / black Labrador mix breed dog at 7 years old. "Layloo is very smart and obedient. 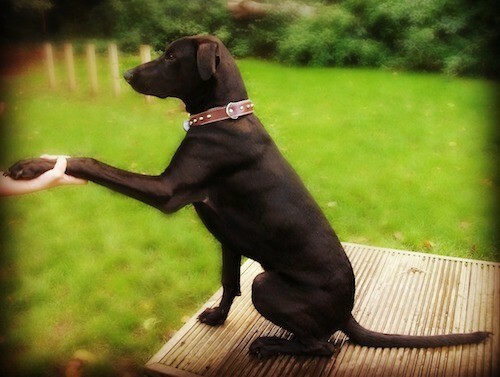 She already knows many tricks at six months old." 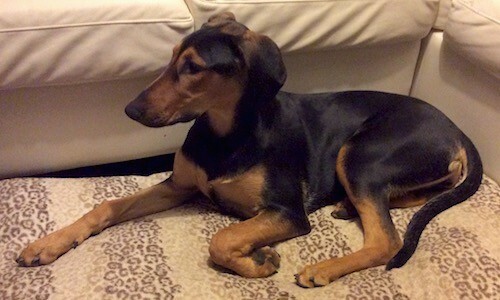 "This is Harley shown here at 6 months old. 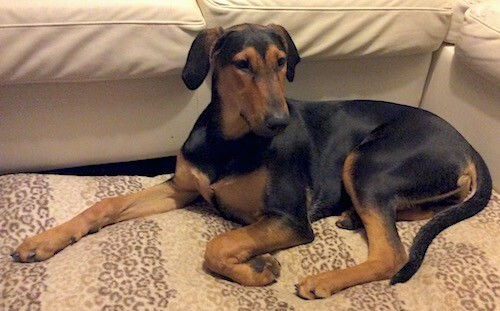 He's a mix between a Doberman Pinscher and a Labrador Retriever. 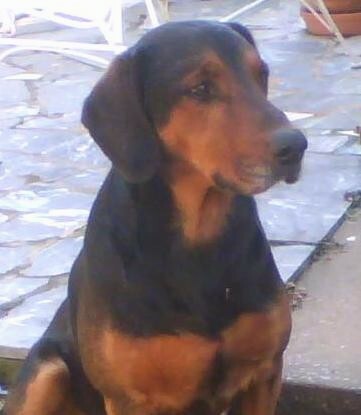 His mother was a purebred black and rust Doberman, and his father was 3/4 Labrador Retriever 1/4 Doberman Pinscher. 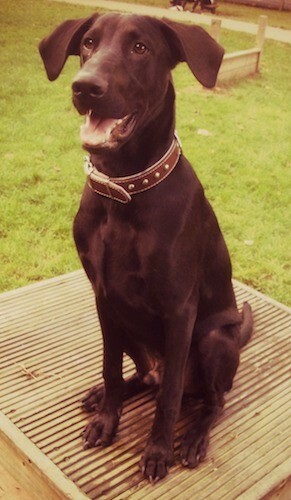 He's solid black like his father, but is very Doberman in temperament and most physical aspects. He has webbed paws, from his father. He was one of two solid black puppies from a litter of 7. The rest of which were black and rust and looked like almost pure Dobes." 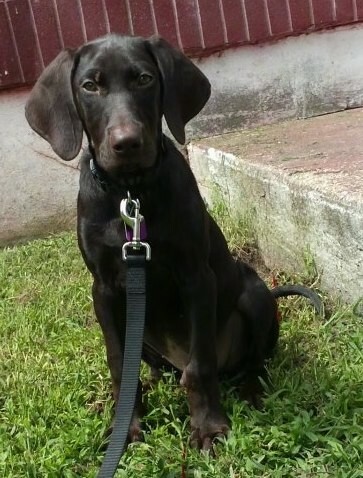 "Jonah the Labrador Retriever / Doberman Pinscher mix breed puppy at 13 weeks old. He has a brother who looked like a full (chocolate) Doberman."